That's why RM WebDesign has been working with the industries leading e-commerce providers. All of our e-commerce options are fully integrated into our CMS websites, and could form the very basis of your site. Whether you sell one item, or 50,000, we have a solution for you. Please Contact us with your requirements to find out more. In most cases, your name is your brand. You should protect this at all costs, and build your success upon it. 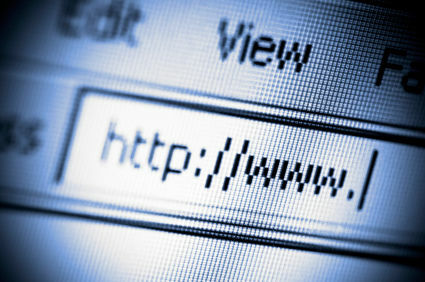 Domain Names are the address that will help visitors find your website, the .com's, .co.uk's and .ie's. Without them, we'd be reliant on remembering a lot of numbers. For example, visiting www.bbc.co.uk, is the same as pointing your browser at 212.58.244.66. RM WebDesign can secure the domain of your choice* and register it in your name. If required, we can act as your agent to protect your anonymity. In most cases, domains can also be secured same-day^. RM WebDesign manage all aspects of domain names, from initial registration through to annual renewal. We can also advise on brand protection best practice (such as registration of multiple domains). Our Domain Name Management Service will see us protect your domains during your website lifecycle, we will manage all aspects including renewal. Joomla is an award-winning content management system (CMS), which enables the building of Web sites and powerful online applications. Many aspects, including its ease-of-use and extensibility, have made Joomla the most popular Web site software available. In the simplest terms, a CMS system is just like a word-processor. You will be able to login to your site, click 'edit', make any changes you require and then 'save' to immediately update your page. It really is that simple!